Carbine Studios and NCSoft today announced an exciting Protostar Gala Winterfest Extravaganza event to celebrate this festive season running from December 16th 2015 through to January 1st 2016. 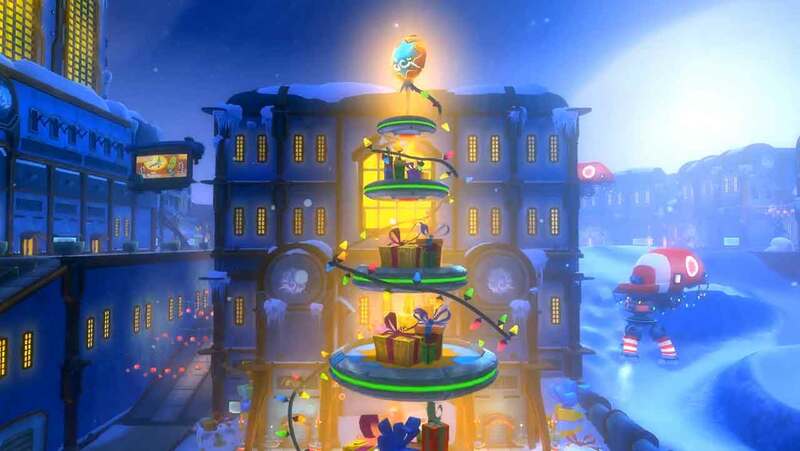 Located within the Protostar’s SuperMall-in-the-Sky, the Winterfest event is a seasonal traditional on the world of Planet Nexus as players flock to capture the outrageous deals on offer including in-game items and exciting new content such as daily quests and public events. Spending NCoin, Omnitibt and ColdCash (a unique currency available only during the WildStar Winterfest event and used to pick up exclusive holiday items) players will have the chance to explore an entirely new catalog created specifically for the festive period. For more information on the Winterfest event, check out the official website.